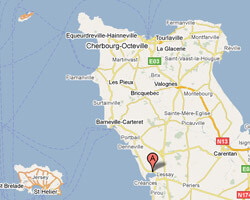 Located to the west of the Cotentin peninsula, Saint-Germain-sur-Ay is an unspoilt village. At the seaside you can find a sandy beach in a dunes landscape with beautiful views of the Channel Islands. An area of ? ?salt marsh evokes the bay of Mont Saint Michel. It is a resting area for migratory birds. 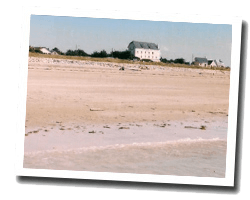 In Saint-Germain-sur-Ay enjoy a seaview holiday rental. Villa for 7 people with views over sea and direct access to the beach. 3 Bedroom(s), 2 double bed(s). short stays possibility. Final cleaning : 60 €. Price from 585 € to 1180 €.